Note: This post is going to contain mentions of mental health and mentions of passing/death. If these things make you uncomfortable/trigger you, please don't read ahead. Good evening everyone, and welcome to 2017! So I know for some people, 2016 was a literal emotional sh*tstorm, and for others it was a total smooth ride. 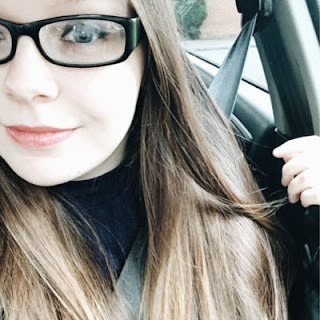 Today, as the first post of 2017 for chloetommo, I wanted to do a typical "looking back" thing, where I talk about my highs, lows and the inbetweens - so I hope you enjoy it. Last year was 365 days of being a total rollercoaster and having so many twists and turns that I could literally throw it, it's hard to think of where to begin. I'd do a month-by-month kind of thing, but I don't know exactly when half of these things happened, so I'll do my best. 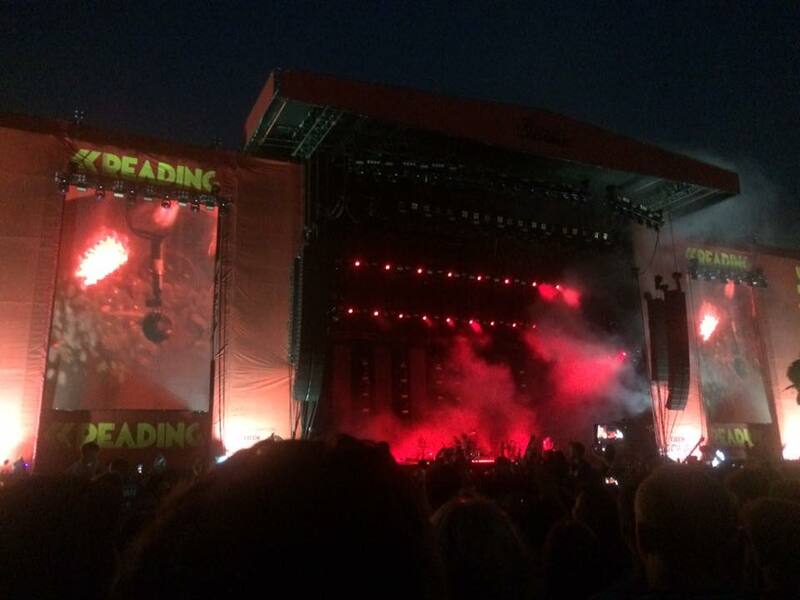 A highlight of my year was going to the Reading festival in August. I had already gone in 2014, so I knew exactly what to expect whilst being there and what the experience was going to be like, except with different artists - of course. 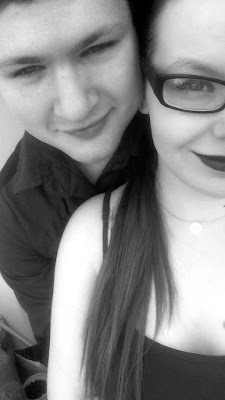 It was a fun experience as this time I went with my boyfriend, and it was also his first time to a festival, so I was double the amount of excited than I originally was. 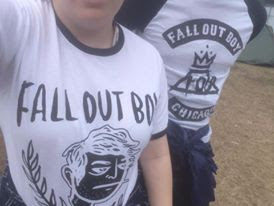 We got to see ome really amazing acts, like Imagine Dragons, Fall Out Boy, Twenty one Pilots, Sleeping with Sirens, Five Finger Death Punch, Eagles of Death Metal, Fatherson and You me at Six - a totally amazing 5 days away from home and life. I would happily go to Reading again because it was so much fun, and a nice weekend to enjoy music, forget about life and to completely live in the moment just like everybody else. Another good thing which happened to me last year is that I passed my first year of university, even though my grades from first semester were definitely not as good as I had hoped they were. It got better in second semester as I was achieving over 55's and just under 70's, so being close to firsts, rather than just scraping 40's. This was a huge deal to me since I didn't have any faith in myself that I was going to pass or do well. Moving onto second year was also something which happened last year and it was an emotional few months for me. Good and bad things came from the first semester of second year, but the one that sticks out the most for me was one of my housemates passed away in December. It really shook the system and really put things into perspective for me. It's been one of the bad parts of 2016, but it's something I will learn from. Being in second year also was a good time for me as I got to try out different levels of my modules which I had done previously, and it was nice to be able to have an understanding of my work, rather than know bugger all. I must admit, I wish 2016 was all roses for me, but sadly, it was a year where my mental health was at probably it's roughest. During the summer, I started to suffer particularly badly with depression, although my anxiety had shrank a lot. It's like it was a seesaw and the depression was getting worse by the day (thanks work). It was honestly my worse struggle of my life, because it was also the time when I had a job so my focus was trying to go on making things go smoothly, well and be perfect. I know now that I can't be perfect so just doing my best is what's better, but depression was affecting my work and my ability to fulfill what I was set before the end of my shift. 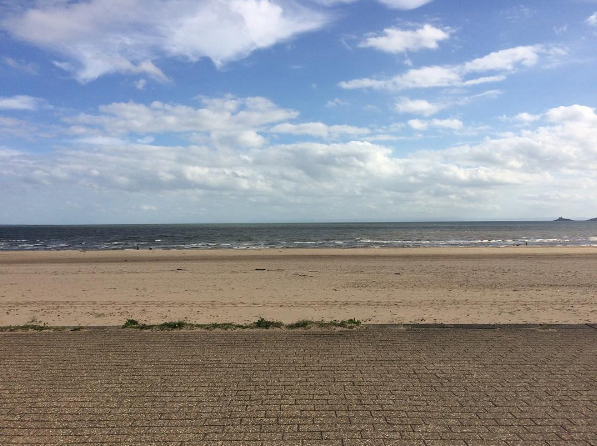 I didn't officially leave my job, I just took a lot of time off to focus on myself and relax (that, and I was essentially on a zero hour contract so it didn't matter too much that I left informally). 2016 was also a year of stress from university, effects of and on my mental health and it was honestly something I wanted to end so much. I honestly could wait for 23:59pm and to say goodbye to what was probably one of the worst years of my life. But as most things in life, every low had a high, and the highest point of 2016 was getting into a relationship (cue the 'awww'). I honestly wasn't sure if getting into a relationship during university was a good idea or not, because quite frankly, I was a hopeless romantic (I still feel like I am?). I couldn't hold a relationship because after a week or two, the fuzzy feelings would go away and I'd be bored of the relationship. It sounds harsh, I know, but I can't help the way I feel. However, this was basically your typical 'high school crush' in a different setting. After myself and my boyfriend spending from August 2015 until the end of January 2016, I honestly couldn't keep my feelings to myself and eventually blabbed to him that I liked him in literally the worst way possible (I text him 'HeyIlikeyoubye' then left my phone upstairs for 45 minutes whilst I ate my dinner... I know, I'm evil). I didn't particularly want to tell him, because I felt that he didn't like me in that way, and I don't deal with rejection very well at all. Personally, it makes me feel pretty useless and embarrassed, but this worked out in my favour and it helped me get over anxiety of confrontation. In all honesty, I've made a lot of bad decisions in my life and have learned from them - but this has been my best decision yet. I'm proud of this one. Another highlight of my year was that I was nominated for a UK Blog Award. This took me by total shock, because I'm not a popular blogger, I know that for a dead certainty, so checking my Gmail and seeing that I was nominated was a really nice thing for me to see. I managed to get into the public vote which was also really amazing, but my god do I know how people feel on X Factor, Strictly and I'm a Celebrity when they literally say "the public decide your fate". It was a scary two weeks, but I was so thankful and still am to this very second that people actually voted for me. It was a heartwarming thing to have happen to me since I was at a low point at the time. I didn't get to the final 8 for the category I was in, but I don't care because being recognised for my work was something far more worth it. These are all the things I can think of which stick out in my mind for across the 366 of sheer madness that was 2016. 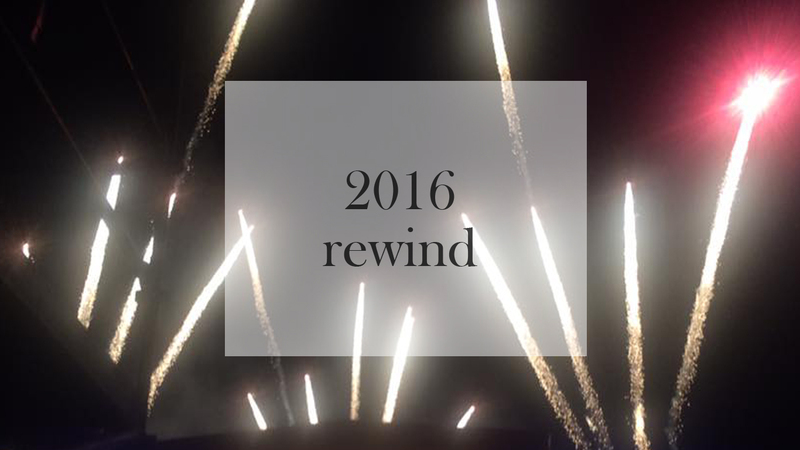 So, how was your 2016? Was it as bad as everyone was making it out to be? Was it a good year for you? Let me know!